The conference took place during the 3rd and 4th of April in the beautiful port city of Trieste in north-east Italy. The two-day event gathered international experts, including representatives from port authorities, international organisations such as the EU or IMO, and private companies. 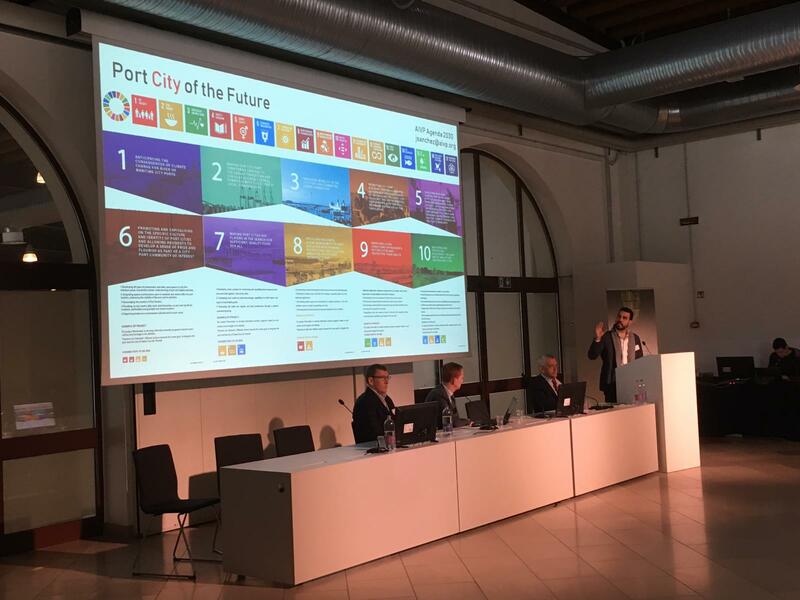 AIVP was represented by José M Pagés Sánchez, who presented the AIVP Agenda 2030 and the first results of the recent City Port survey conducted by AIVP among their members and contacts all over the world. The cruise industry and its relations with the cities and ports that play host to its ever bigger liners, carrying ever more passengers, have been transformed over the last decade. The magazine Cruise Insight has contacted nine associations around the world to gauge their views on these changes and the challenges facing port cities. AIVP was naturally among the first organisations approached to contribute to the report, which has just been published. Olivier Lemaire, General Manager of AIVP, took the opportunity to reaffirm AIVP’s message and to underline the need for dialogue with all stakeholders in the industry, to redefine a balanced partnership that benefits our port cities and their residents. The Macquarie Point development is high on the list of major projects planned as part of the Hobart City Deal. The aim is to turn this nine hectare waterfront site into a world-class cultural, scientific and tourist hub, while a dedicated website will include the public in the project.